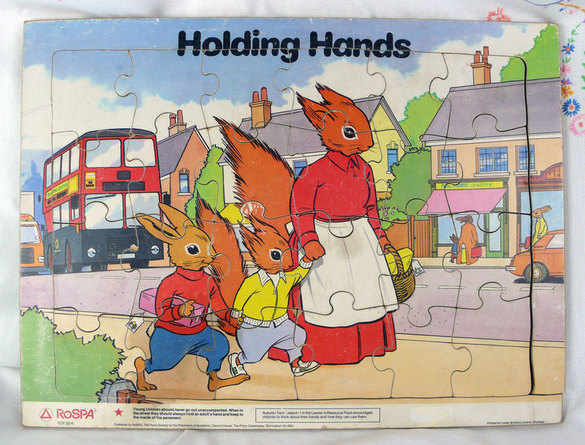 A large, vintage wooden jigsaw produced by the Royal Society for the Prevention of Accidents for teaching road safety in schools. 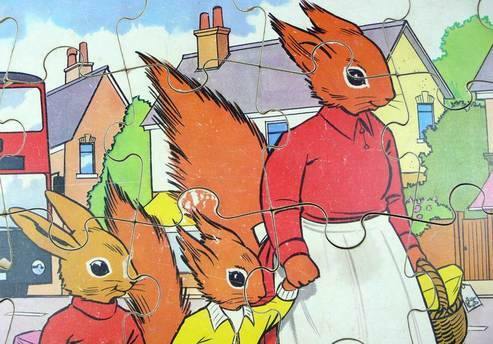 The Tufty Club was started in 1961 to teach road safety and by the early seventies (which is where this jigsaw dates from I think) it had over 2 million members. 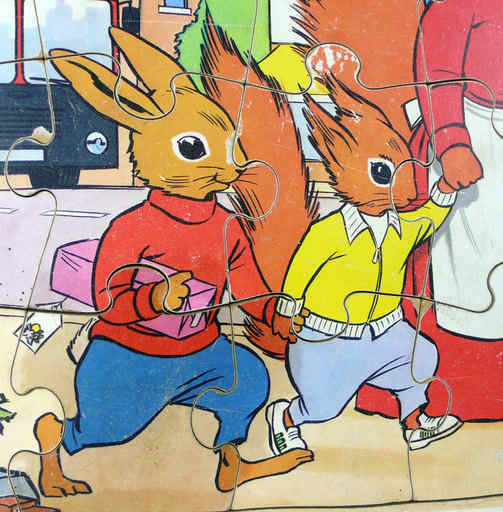 Here we have Tufty with his mother and brother demonstrating that young children should hold hands when walking near traffic. The jigsaw pieces are stuck to the wooden backing so this piece can be hung on a wall. No need to frame it as it is very sturdy, just a couple of picture hooks into the back would secure it. The colours are good but there is age related marking to the edges of the puzzle pieces. One side is slightly raised where the glue has dried, see the pictures above.